1985 Diploma in Drawing and Painting, Govt Institute of Fine Arts, Trichur. 1991 B.F.A (Printmaking) Vishwabharathi, Santhinikethan. 1993 M.F.A (Printmaking) Vishwabharathi, Santhinikethan. 2005 “Double Enders” A Travelling Show at Mumbai, New Delhi, Banglore, Cochin. 2005 Vadhera art Gallery Group Show. 2004 Sara Arakkal Art Gallery. 2004 Art Heritage. New Delhi. 2002 Art Heritage. New Delhi. 2001 ‘Voices against Violence’, Baroda. 2000 ‘Exile Longing’ Lakeeran Art Gallery, Mumbai. 1998 Sri Durga Art Gallery, Mumbai. 1996 Vadhera Art Gallery, New Delhi. 1995 Cymroza Art Gallery, Mumbai. 1994 Art Heritage, New Delhi. 1994 3rd International Prints Biennale, Bhopal. 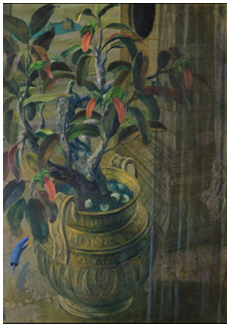 1993 “Introduction” India International Art Cenre, Kolkata. 1993 Jehangir Art Gallery, Mumbai. 1993 “Prints Today” Banglore W.A National Exibition, Orissa. 1992 4th InternationalJuried Prints Exhibition, Kolkota. 1991 6th International Biennale, Bausan, Korea. 1990 National Exhibition, New Delhi. 1991 Merit Award in Southern Regional Exhibition,Gulberga. 1992 Award for the most orignal work, India International Arts Centre, Kolkata. 1994 Junior Fellowship Ministry of Cultural Affairs of India. 1999 Kejriwal Award for young artists, Bangalore.